Slingsby Gin tasting @ Oliver Conquest - What's Katie Doing? 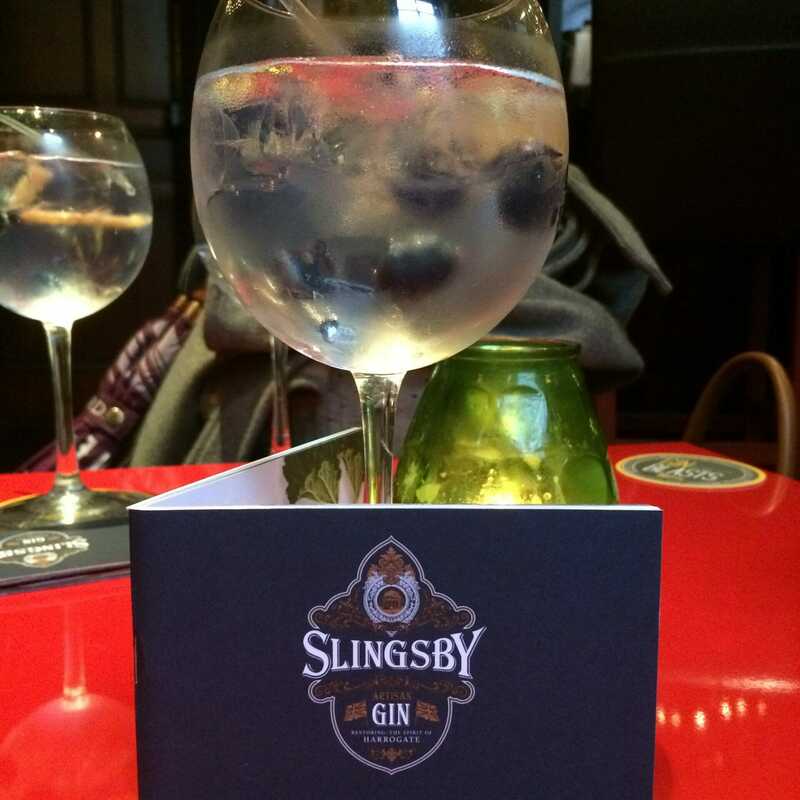 So who’s tried Slingsby Gin already? 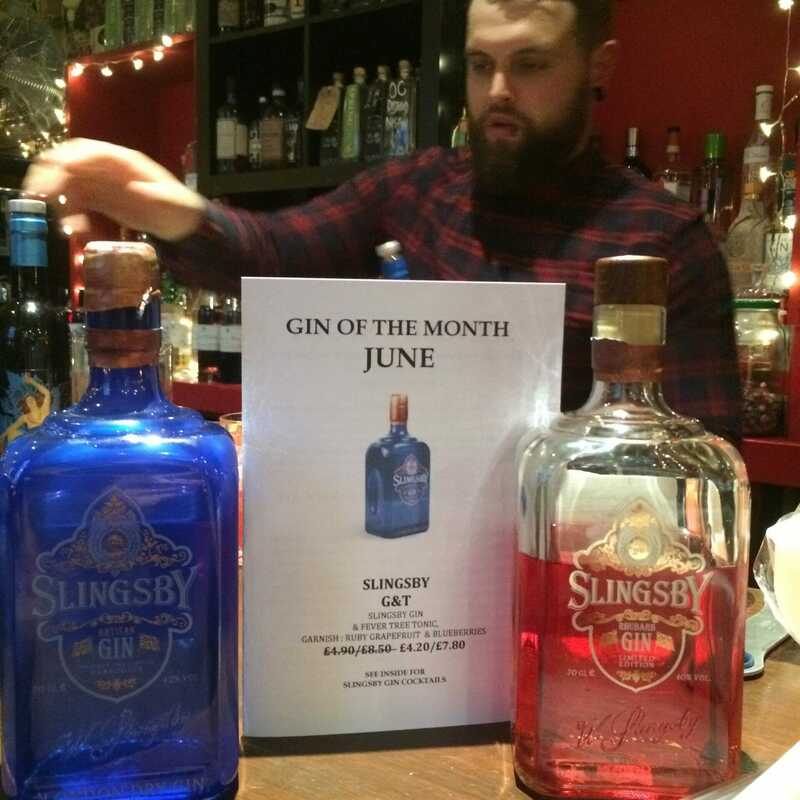 Gin club hadn’t, so we enjoyed the free sampling at the Oliver Conquest’s tasting in June when Slingsby was gin of the month. Slingsby has a very pretty blue bottle! The name Slingsby has a long history in Harrogate. The gin is named after William Slingsby who travelled across the UK in 1571, looking for good water. The mineral water in Spa in Germany was renowned for having health benefits and Slingsby was looking for something similar. As Harrogate spring water had these same properties they settled there and told people about the unique health benefits. They had visitors come from all over the world to try it – in fact you may have even tried bottled Harrogate spring water! 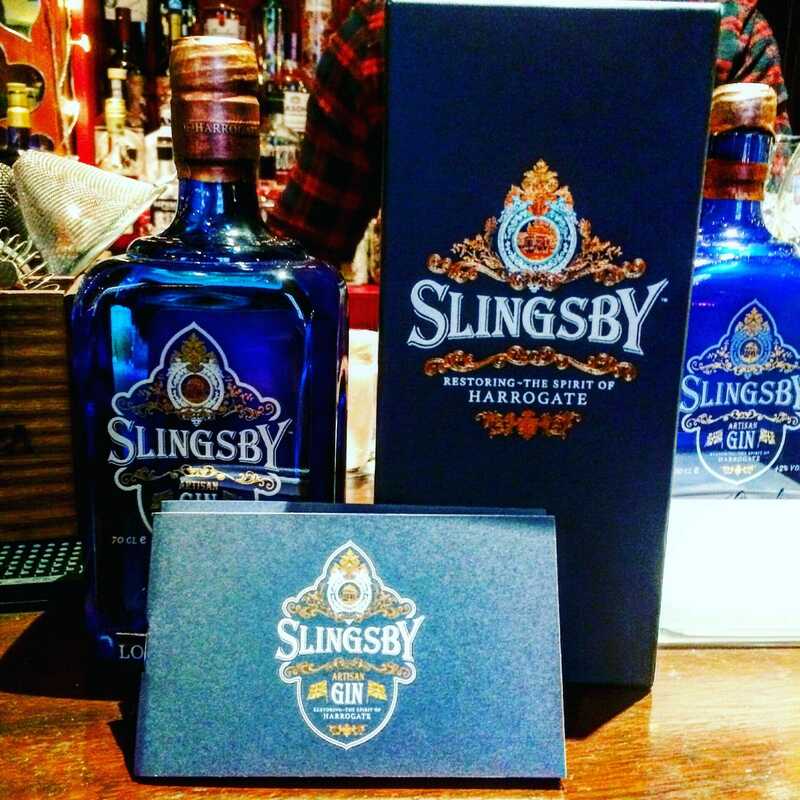 Slingsby want to be the literal ‘spirit of Harrogate’. Of it’s 24 botanicals, 17 are local. 12 are grown in the centre of Harrogate at the kitchen garden of the Rudding Park hotel, including the rhubarb. Green and Jasmine tea are sourced from Taylor’s of Harrogate – the famous tea brand. And of course they use the local Harrogate spring water to dilute the gin to it’s final strength. Botanicals that couldn’t be found locally are sourced sustainably, the pink grapefruit coming from South Africa. Most importantly the juniper is from Madagascar (which has a more vanilla flavour and less pepperiness). Notable flavours include citrus thyme for a herbaceous note, licorice root for sweetness and sweet cicely. The resulting citrus flavour was planned to be not too dry to make a refreshing summer drink. It took them 11 attempts to get the recipe right! We enjoyed in a gin and tonic with their perfect serve garnish of pink grapefruit and blueberries. As mentioned before, rhubarb is one of the locally grown botanicals and the rhubarb gin is in keeping with their motto to restore the spirit of Harrogate. 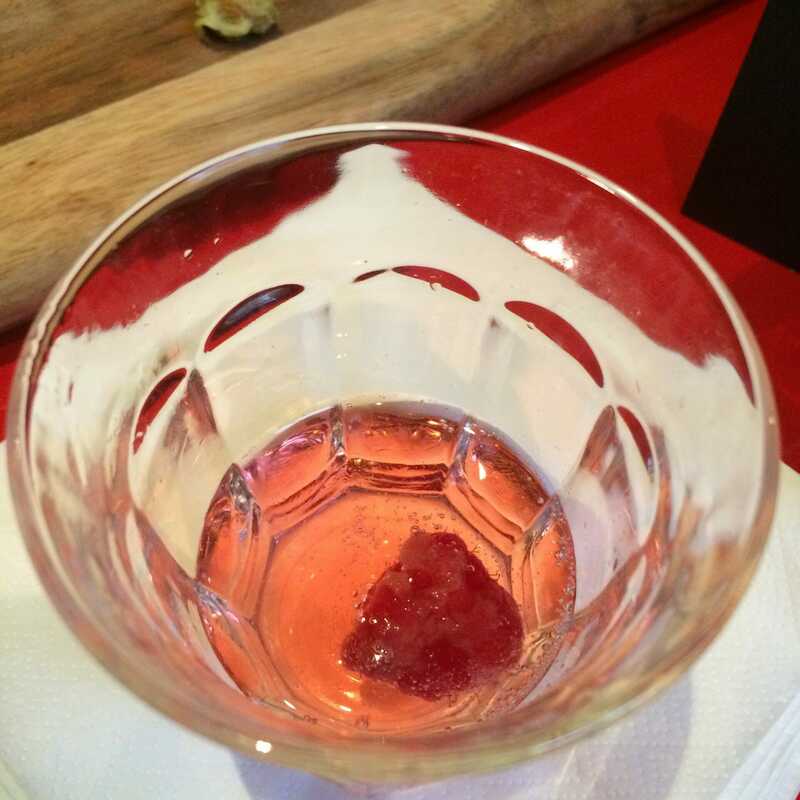 Originally Slingsby used a rhubarb maceration (where you leave the gin with the rhubarb in it to steep). 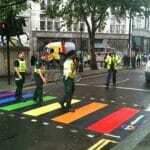 But then they realised that this needed to be tested by Food Standards. So whilst they wait for the approval to come through, Slingsby are creating their rhubarb gin using a Yorkshire rhubarb distillate from another company. 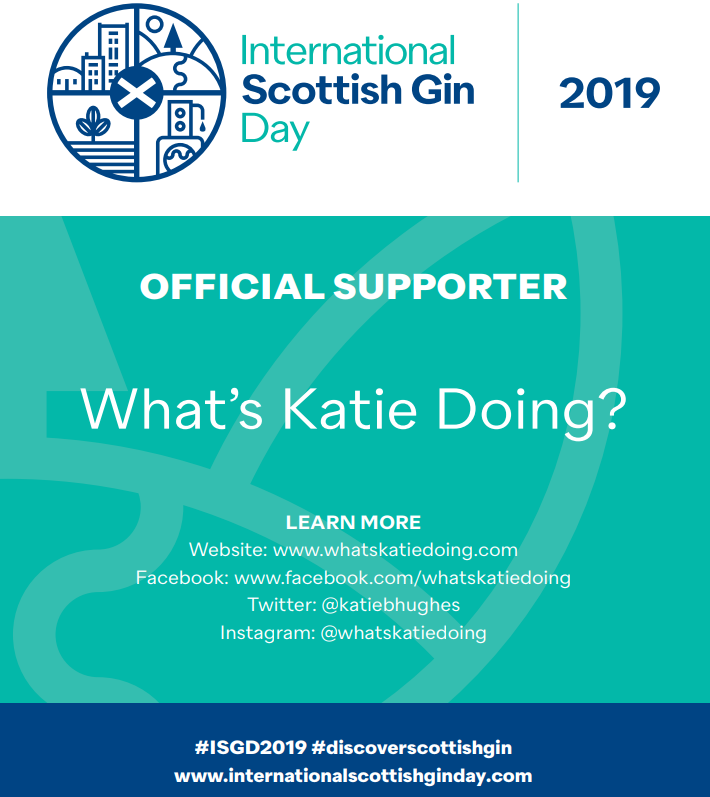 The gin is still made up to drinking strength using the local Harrogate spring water. There is no extra sugar added to the rhubarb gin so it retains an astringent flavour, characteristic of forced rhubarb. When I tried it neat it reminded me of those rhubarb and custard sweets you used to get as a child. Adding tonic to it adds a certain amount of sweetness and of course prosecco works too! Which leads me nicely on to alternative uses for Slingsby gins… in cocktails! The first cocktail that we had recommended was a Rhubarb 75 (a twist on the classic gin cocktail French 75), using the rhubarb gin, champagne, lemon juice and a little sugar to balance. They recommend garnishing with a raspberry to bring out the rhubarb flavours. In addition to our perfect serve G&T with pink grapefruit and blueberries, you can serve the dry gin with pepper and basil. You can mix things up for summer by serving with the FeverTree Mediterranean or Elderflower tonics too. They also recommend Rhubarb and Mulberry Bramble – what they were presenting at the Graphic Bar Gin Off competition. This sounded amazing with the addition of a rhubarb and balsamic shrub…. we didn’t get to try that. However as it was Negroni week, we had to try a Slingsby Negroni! 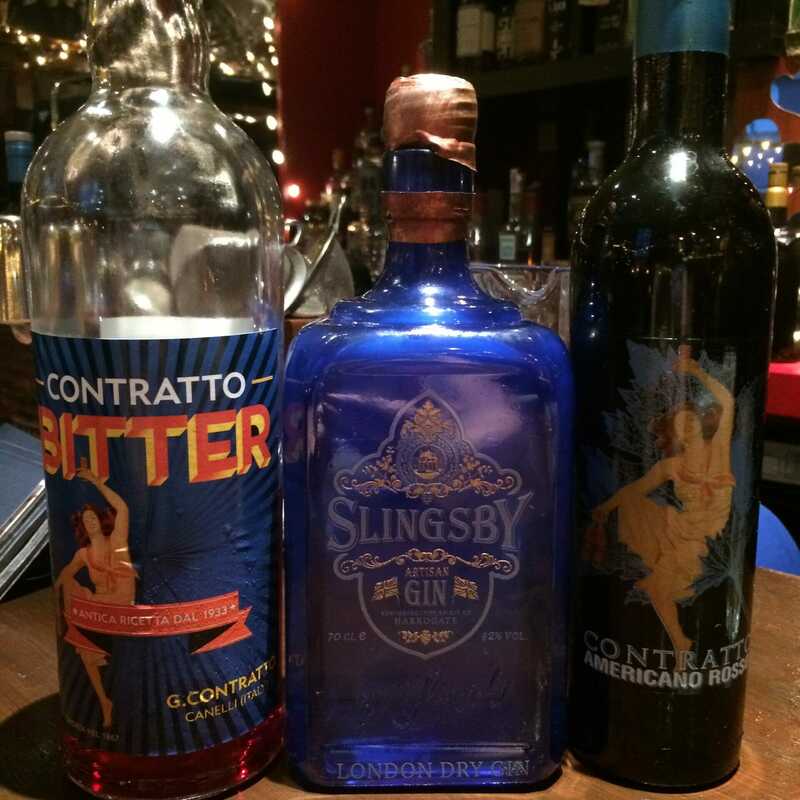 Slingsby dry gin with Contratto American vermouth and Contratto bitters made a softer Negroni (read dangerously easy to drink!). 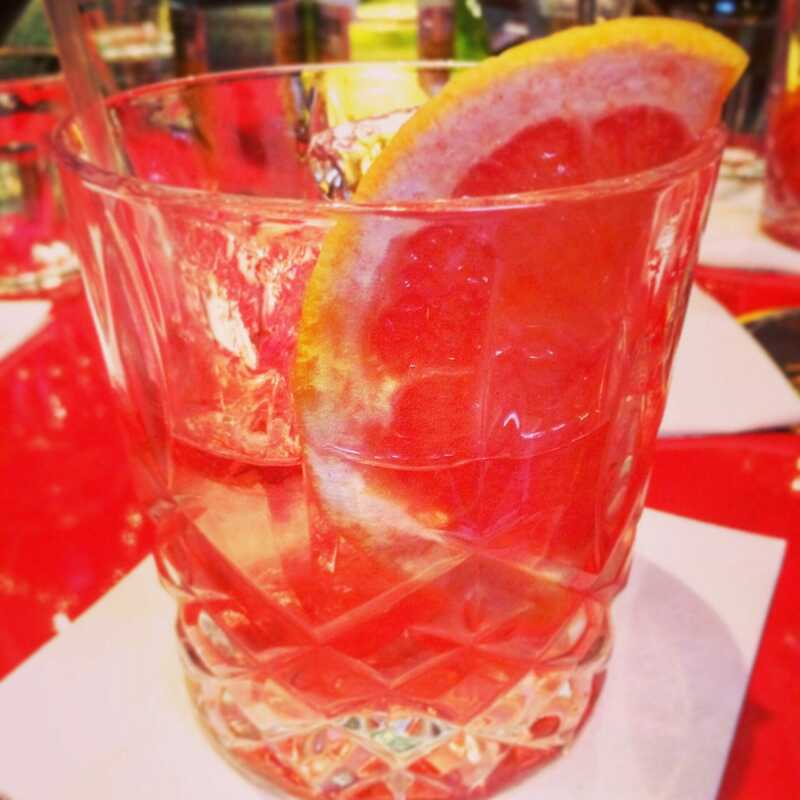 The traditional stronger flavouring of a Negroni would otherwise drown out the more delicate Slingsby flavours. Obviously I missed telling you about the promotions… Follow me on Instagram and Twitter for the most up to date news on this front! A whole host of negroni’s! 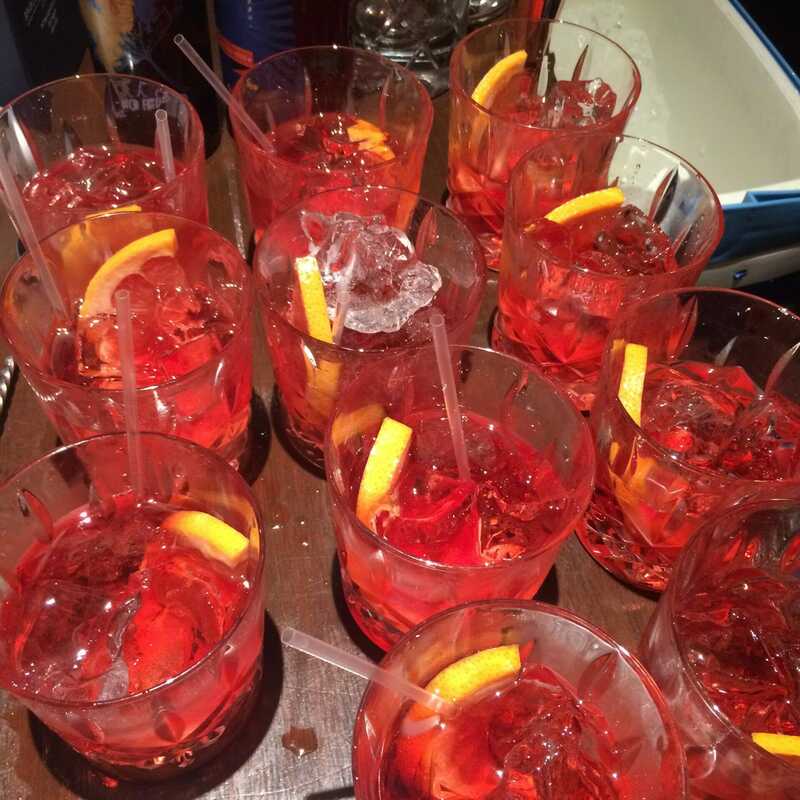 Are this many Negroni’s called a gaggle? Negroni close up = super pink! 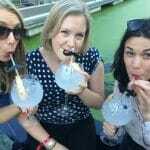 For more news on The Oliver Conquest FREE gin tastings check out their website. 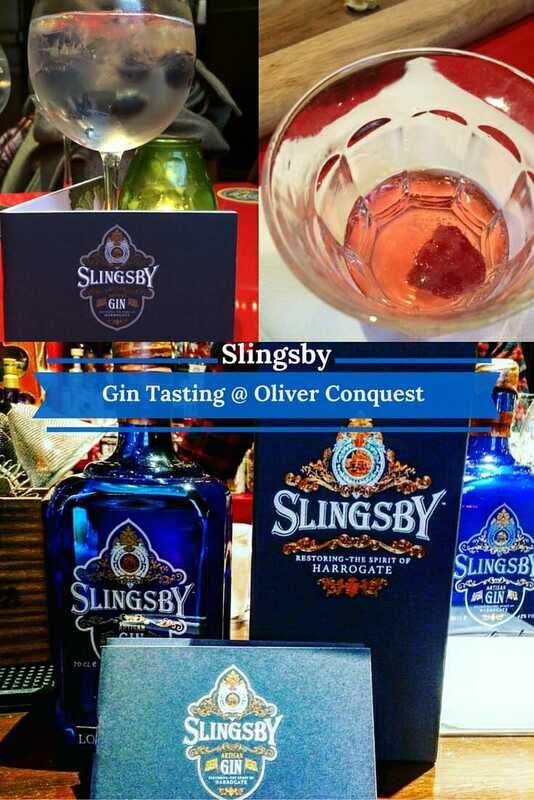 You can try the Slingsby gin at The Oliver Conquest or check out their shop in Harrogate! 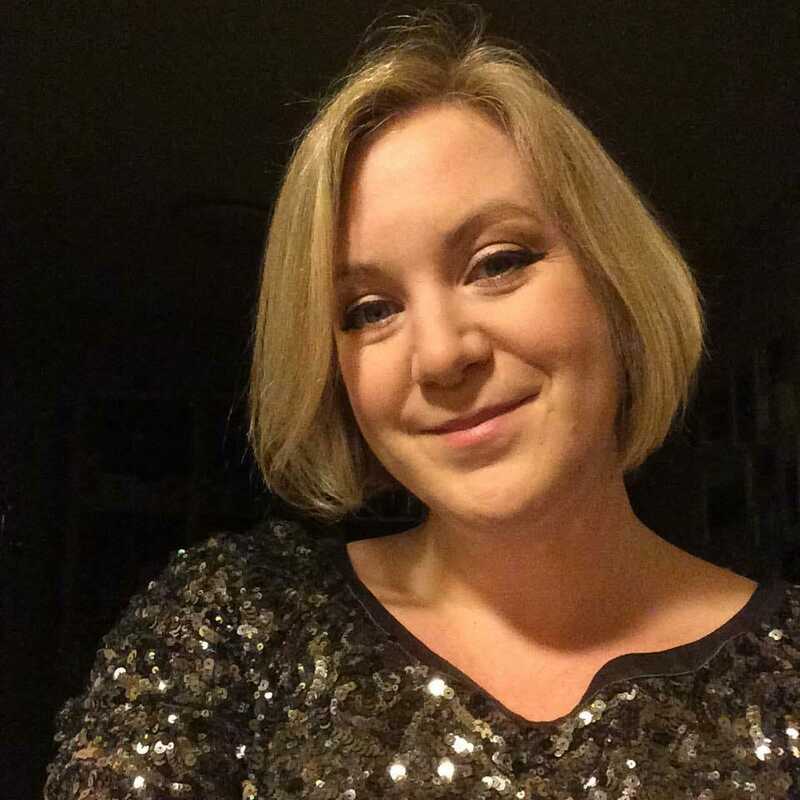 Good idea Mirela, let me know how you get on!